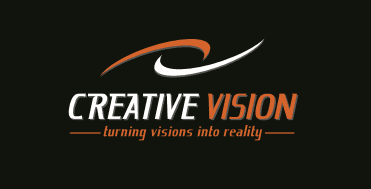 Team - Creative Vision Partners, Inc.
market segment to turn their true Visions of graphic reproduction into Reality. My work comprises of 25 plus years’ in client relations, employee management, extensive graphic design and the vast knowledge of small to large format printing and fabrication. I’ve been blessed to learn from highly trained individuals from all sectors of graphic reproduction and its lead me to be modest but extremely confident as a Creative Mastermind! My company is driven by the print brokerage mentality, why situate yourself with in one environment when you have the opportunity to work with technology as it grows. My passion is nurturing the vendors talent that I recruit for every project, just image what support you receive with specialist from a Mega Trade Show Supplier, A experienced High End CNC / Laser fabrication house, Veteran Grand Format Print Shop, High End Industrial Signage Shops "LED", Superior Graphic Designers, High-End Web Designers and last but not least the best group of Installation Artist / Acrobats I call them that money can buy, they by far are the finishers that make you shine. Our clients get the best that each vendor has to offer. Many times 1 project will be produced through 4-5 vendors. We all know what the master orchestra-tor does when he puts on a performance, He guides and instructs a mass group of musicians to produce a Musical Masterpiece. Well that’s how Creative Vision Partners, Inc. turns your Vision Into Reality. This is the mentality I preach to my team everyday. Our group of vendors and professionals are Partner's, Asset’s and Team Players, not competitor's and we respect everything they produce for us. As the times and technology changes so does Creative Visions Products. This in itself ensures that the services and products we deliver will always change for the better. As new business expands we now have been showing up in Los Angeles, Northern California, Denver, Houston and New York as we welcome the chance to provide organization's from all platforms to use the concept and recognition we are proud to share at Creative Vision Partners, Inc.
My past work has earned me great experience with employee relations as a production manager for American Color 5 years and Applied Graphics Technologies 5 years, I have also been blessed to work with high profile agencies that entrust me with direct contact to their highly valued client's such as, Intel, Qualcomm, Ballast Point Brewery, Taylor Guitars, Major building contractors such as Swinterton, Ledcor, Bossa, Hospitality Corporations like Marriot, Hyatt, Sports Teams like our very own Padres, Chargers and Gulls, and we can never forget the care givers like the United Way plus a long list of Southern California based companies. Its my passion to provide a sense of security and build a reputation that Creative Vision will always be here to Trust and "Turn your Visions into Reality!